Fans of comedy goddess Amy Poehler have been tracking the movie Wine Country for a while now. It’s not only slated to be Poehler’s directorial debut, but it stars fellow comedy icons Maya Rudolph, Ana Gasteyer, Rachel Dratch, Tina Fey, and more. As if that weren’t awesome enough, it also tackles themes of female friendship and stars an entire group of women approaching their 50s, which we sadly almost never seen on our screens. 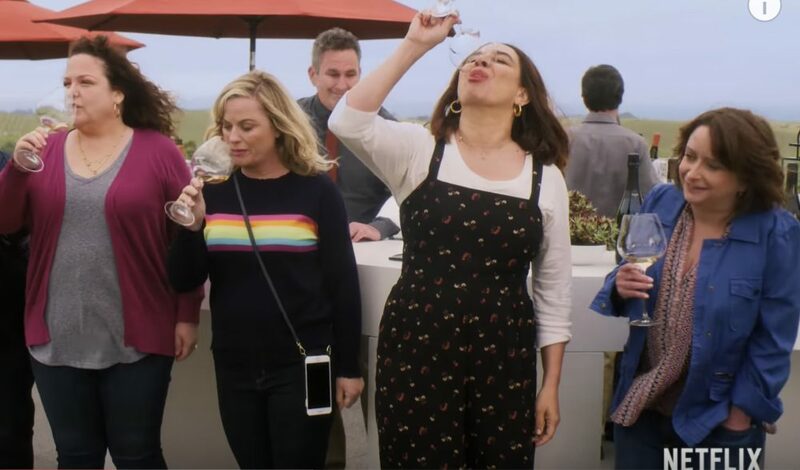 Now, the trailer for Netflix’s Wine Country is here, and it looks every bit as epic as we imagined. Wine Country was written by Liz Cackowski and Emily Spivey, and it’s set to drop on Netflix on Friday, May 10th.